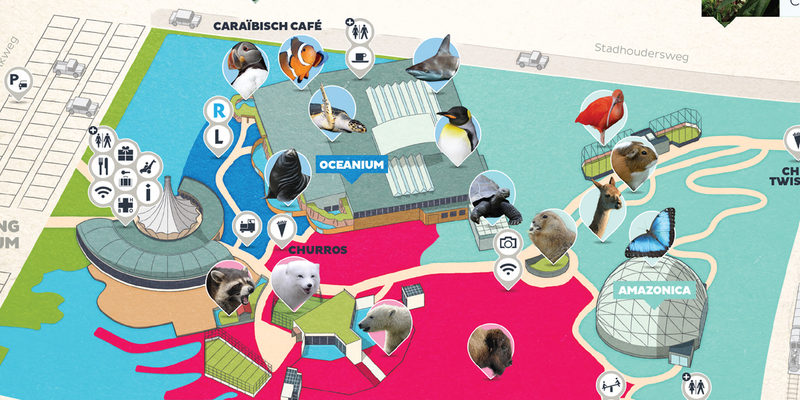 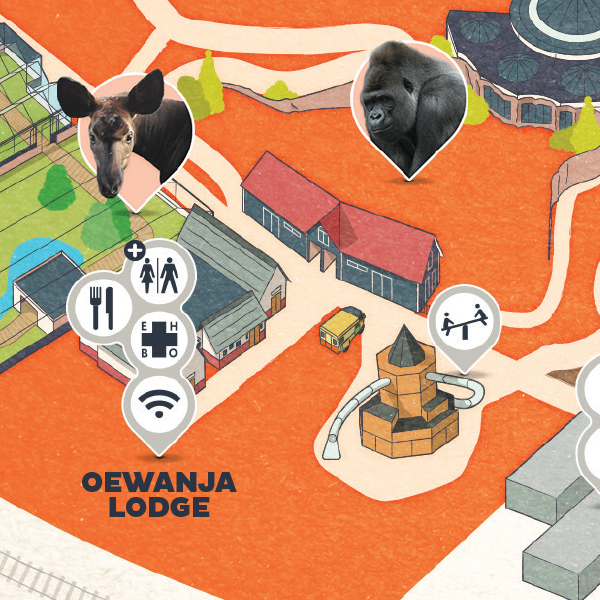 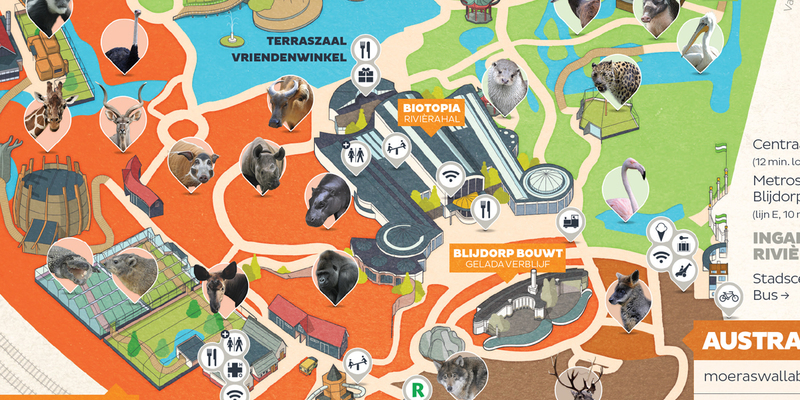 In collaboration with Marc Arends from Marc & More we created the new map for Rotterdam Zoo. 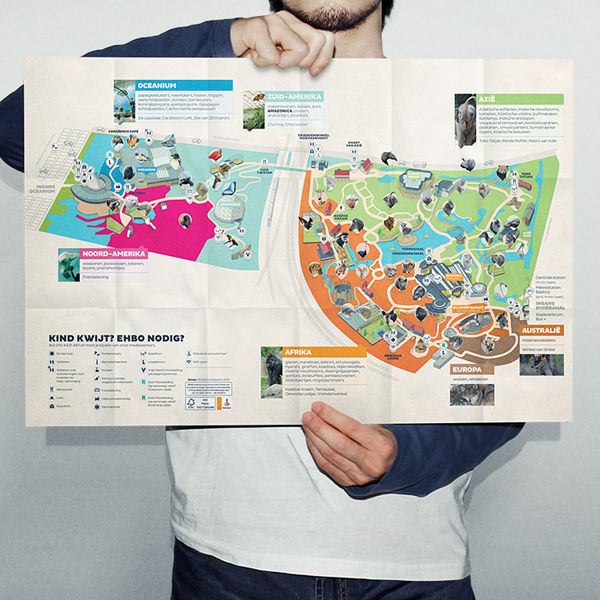 The idea was to create a map that could easily be updated since the park regularly updates it’s layout. 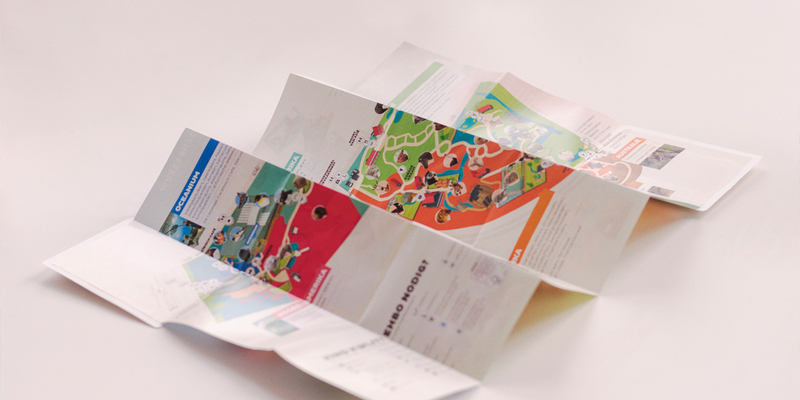 Next to a number of landmarks spread throughout the park a color code was added to the map dividing it into different regions aiding the user with navigation.